Sundaram Business Walkin Drive In Chennai | BPO Voice Process Job Openings | 12th to 17th February 2018. 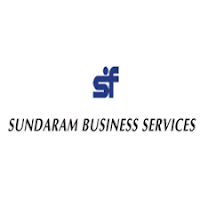 Sundaram Business Services is going to conduct Mega Walkin Drive In Chennai. Candidates who had completed graduation for the role of English Voice Process can attend directly walkin from 12th to 17th February 2018. They have urgent recruitment for Sundaram Walkin Interview. Job seekers who are having excellent communication skills with minimum 2 years experienced candidates are most welcome. Contenders who are going to apply for Sundaram Walkin Drive for the position of 10 English Voice Process openings can check Sundaram Business Careers opportunities from here. Aspirants should be fluent in any one of the following languages like Kannada, Hindi, Malayalam. Candidate should be minimum qualified in 12th Standard (HSC) OR should have completed minimum 2 Years Diploma after 10th. Freshers / Experienced candidates both are welcome to attend the interview. Sundaram Business Services is a global outsourcing company with over 1000 employees servicing over 100 clients across three continents. We help customers achieve higher efficiency in controlling costs and reducing risk, while leveraging on our experience, to improve operations. Our engagement with customers has proven to create sustainable value, while maintaining high levels of profitability. Sundaram Business Services offers a best in class outsourcing & business transformation experience, helping Accounting firms, CFO’s and CMO’s through its innovative and streamlined service offerings across verticals. Our service offerings are a combination of operational excellence and deep domain expertise in key industry verticals including investment management, portfolio management, mortgage, hotels, hospitality and leisure and accounting firms. Our management & leadership team are accomplished executives from leading organisations with great business acumen, which enables us to drive performance across processes. Our core values are derived from our parent company, Sundaram Finance, one of India’s largest financial services companies with 60 years of customer excellence with almost US$ 4 billion balance sheet and 1.65 million customer base from over 500 branches in India. Interested and willing candidates for Sundaram Business Voice Process Job Openings can attend walkin interview in Chennai on 12th to 17th February 2018. So passionate can walk for Sundaram Business Walkin Interview with essential documents with photos. Candidates get read with your preparation to face the competition with effective opportunities.